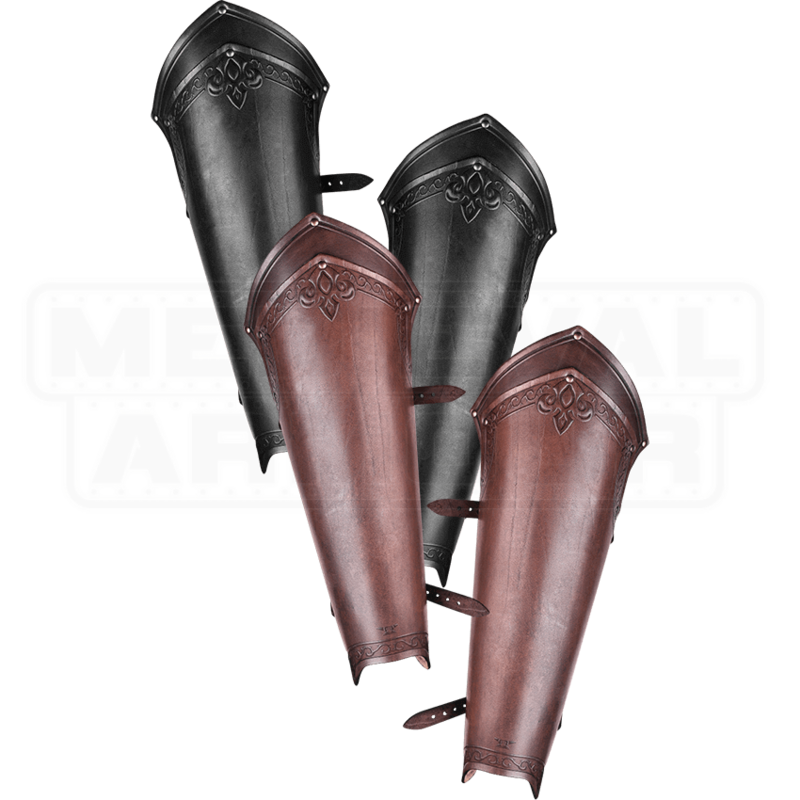 Enter a LARP realm inspired by tales of epic fantasy or one of a historical setting with the Fleur-de-Lis Lancelot Leather Greaves guarding your steps. Handmade from high-quality leather, this pair offers protection to your shins. Each greave is fashioned from two riveted segments. Two adjustable buckle straps allow you to adjust the comfort and fit along the inner side. Available in black or brown, the greaves possess an antique patina finish. Beautiful fleur-de-lis embossing lines the upper and lower edges of the upper segment. 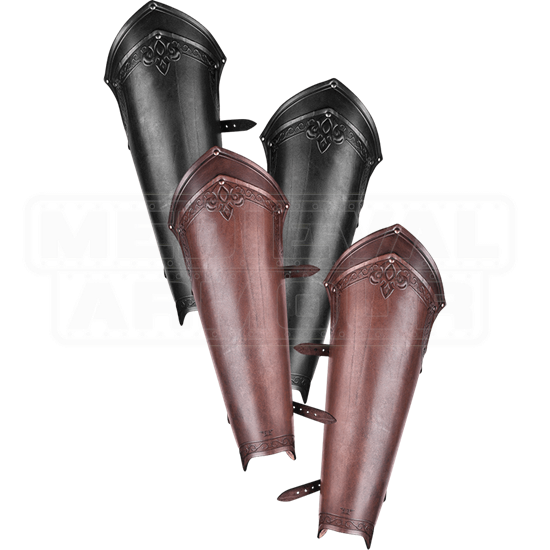 Create a LARP character of your own design, and with a solid defense, by including the Fleur-de-Lis Lancelot Leather Greaves. Please be aware that the greaves are handmade from natural materials. There may be some color variation from what is shown here, as well as from greave to straps.